How I got it: I bought it, couldn't resist. 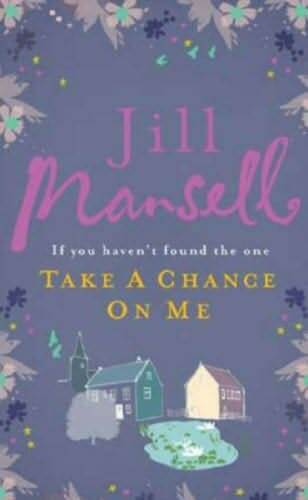 Why I read it: I needed some good romance and Jill Mansell always gives me that. 20-something year old Cleo Quinn hasn't been having the best of luck with men, but now she thinks she's finally found a keeper. Then Johnny LaVenture returns to town, once a childhood adversary and now a succesfull sculptor and all around goodlooking guy. And he hasn't forgotten the past either. Abbie, Cleo's older sister by 15 years, is married to Tom, who she loves dearly, the only shadow cast by their inability to have children. They've always been very happy together, but when a secret from the past quite literally enters their lives and home the marriage is on rocky grounds. Things don't always go the way you planned them and when Cleo's boyfriend turns out not to be who she thought he was, Johnny bets her she can't last 6 months without a new guy. Of course, she's determined to prove him wrong. First of, I have to tell you I've read and loved almost all of Mansell's books. And I have to say it goes for this one as well. I was in a bit of a reading slump after reading and not liking the book before and this was just what I needed to get me out of it. I've spent all Saturday just reading this book. Yes, I know that there aren't that many unexpected turns in this book and I could already predict from the start who Cleo would end up with. But that doesn't take away from the funny, witty and romantic tale Mansell spins. She's a very engaging writer and I never get bored with reading her books. Her characters are lovable and I feel myself rooting for everything to work out, even though I know it will, in the end. I'd recommend this one to all of you who enjoy romance, this is a good book to take with you on vacation, to read on the beach with the sun shining down on you. It's a light, enjoyable read and I give it 4 stars. This sounds like a great summer read! Not too heavy, great for a day at the beach! Good review! Great review! This sounds like a really cute book! I've never heard of this author before. Sounds like a great light read!